My name is Reginald B. Page and I grew up in the Wood although I now live near Seattle, U.S.A. 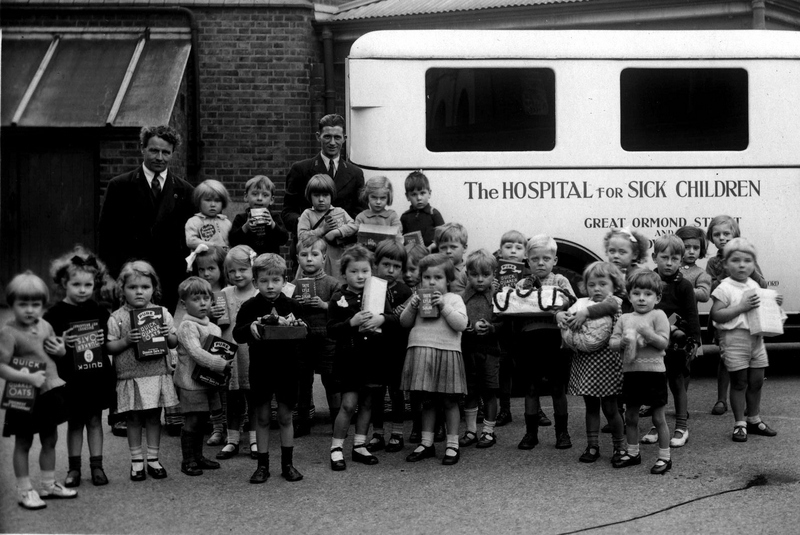 I was born in Queen Charlotte’s Hospital on the Marylebone Road on 9th June 1934. At that time my immediate family, father – Leslie B. 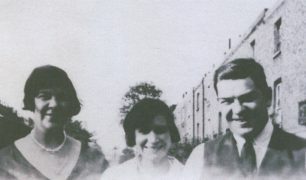 Page (b 1908), mother – Dorothy Page (b 1908), and brother – Royston C. Page (b 1931) were living at 23 Culworth Street. Soon after I was born we had moved to 16 Newcourt Street, four doors down from the police station. It was an old 3-story terrace house. I don’t know which part we lived in at first but think it was just the ground floor with a kitchen/living room and adjoining bedroom. Up the first flight of stairs there was an ante-room over the communal scullery. It was always cold as it had all outside walls. I can remember sleeping up there when I had chicken pox. The scullery had an old butler’s sink with just a coldwater tap. There was a big clothes boiler that you had to fill it with cold water and then light a fire to heat the water. It had a wooden lid and a wooden stick to stir the washing and help lift it out. There was a low bench under the window. We would bring in the galvanized bathtub , which hung on a nail on the wall outside of the scullery. We could scrub the clothes with a scrubbing brush and bar of soap on a scrubbing board placed in the tub. There was a big old mangle in the scullery as well. We ironed our clothes etc. with a flatiron which we heated on a gas ring in the hearth of the living room. There was no bathroom but just a flush toilet built onto the back of the scullery but to reach it you had to go out into the garden. It was shared by all those who lived in the house. On the top floor Mr. and Mrs. Marshall lived. They seemed very old to me. We were never allowed to go up there. Mr. Marshall used to smoke a pipe and so we could always tell when he had come downstairs to go out to the toilet in the back of the house. There was no bath, hot water heater, refrigerator, freezer, TV or any other appliance. We had a radio but that was all. It had a lead/acid accumulator that we took down the street to a little shop to be recharged. Out in the back there was a small yard surrounded by 6-foot high brick walls. The back wall had a high trellis that screened us from the back of the Northgate Mansions, a very high-class block that overlooked Regent’s Park. We were the first in the street to have electricity brought into the house. It must have been in the late 1930s. Most houses of that vintage had the old-fashioned gas lights with mantles that you had to light with a taper. They were very fragile! A man used to come around on his bicycle and turn on the gas streetlights. They were converted to electric lights but the man still came around each day to turn them on or off. By mistake, when they installed electricity in our house, they connected us to the streetlight supply. 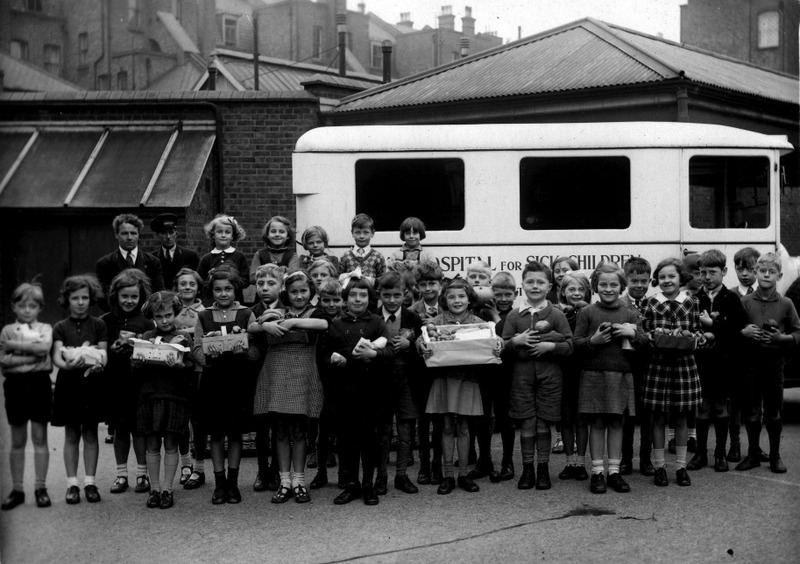 My brother and I started at Barrow Hill School before the war as did my cousins Joan and Barbara Page. 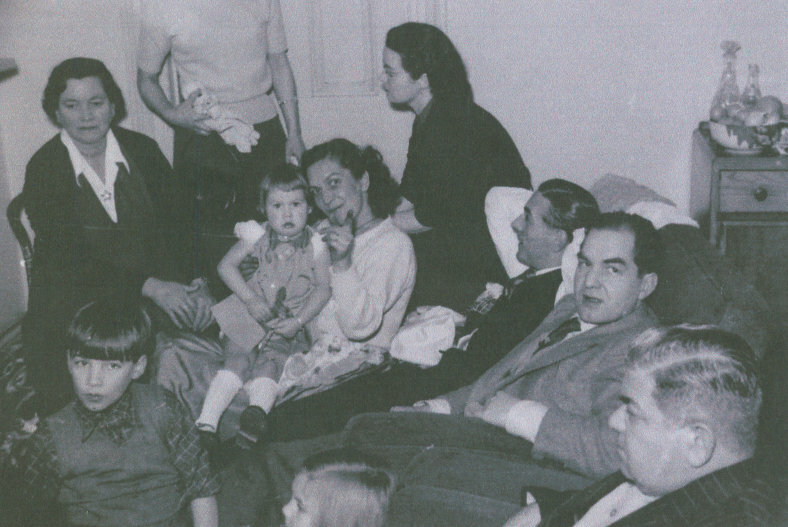 My father had tuberculosis on the knee as a baby and spent most of his early years in a sanatorium. He had 14 operations on his left knee, which fused into a solid mass. As he was a cripple all of his life he couldn’t join the army. He also had stomach ulcers which gave him a lot of pain. In the depression he lost his job but his brother, Uncle Bill, was head porter at Northgate Mansions and he managed to get my father a job there as a porter. 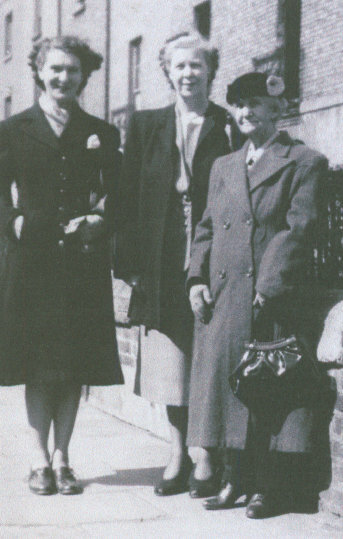 My mother had trained as a court dressmaker and made clothes for some of the residents of Northgate. I can remember helping her unpick seams. Everything was sewn by hand. I can also remember sewing on hundreds of sequins. My father often had tickets for the Zoo given to him by members of the Zoological Society who lived in his block in Northgate. My mother’s father, Granddad Betts, was a widower who lived in St John’s Wood. Maida Vale and Paddington at various times. My mother had grown up with her cousin, Aunt Em, and my parents had a double wedding with Aunt Em and Uncle Wally. My father’s mother Rosalie Page (nee Smith, b 1872) lived at 43 Cochrane Street with her youngest daughter Lillian (Aunt Lil, b. 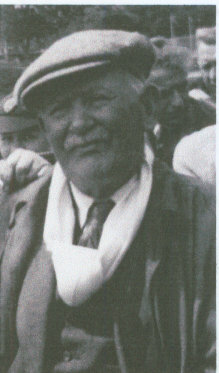 1910). 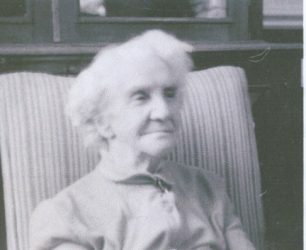 Aunt Lil had been to Barrow Hill Road School with her lifelong friend “Aunt Til” (Matilda Peters).My grandfather had died of consumption (Tuberculosis of the throat). He had been a singer in the old smoky musicals but his doctor warned that that was killing him and he was lucky to get a job as a postman where he spent his time outside in the “fresh” air. He died when my father was just two years old. 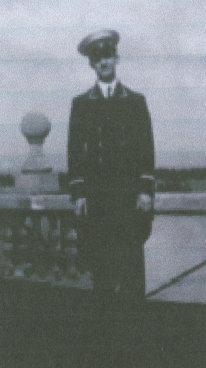 The oldest daughter “Aunt Queen” had married an American merchant sailor after WWI and had emigrated to Hoboken, USA. My father’s older brother “Uncle Bill” lived at 50 Cochrane Street with his wife Rose and children Eva, Billy, Barbara and Joan. We tried the shelter in Oslo Court and the one at St John’s Wood tube station but we didn’t get much sleep there so we first had an outdoor Anderson shelter in the garden, which I helped to assemble, and I remember the sky was red and alive with searchlights and I also remember the noises of the bombs dropping all round and exploding, though the loudest bangs were from the mobile guns going off just outside my bedroom window. Later my Dad bought an indoor Morrison shelter with extra thick 3/8 inch top plates. I used to sleep on top of the Morrison on a horsehair mattress, and slept through the air raid sirens let off at the police station nearby. All the rooms in our home had grates for coal fires, but there was very little coal to be had during the war so most of the time we just had to wrap up as much as possible to keep warm. There was a very limited supply of shoes and clothes during the war and I can remember having cold wet feet and terrible chilblains. Because of the war I was evacuated, first during the Blitz in 1940 and then later, when the buzz bombs started, I went back to where I had previously stayed. I don’t remember the exact dates but it seems that every time I came home the worst air raids happened . Some time after the war we were lucky to be able to take over that upstairs front room. I think that the rent had been 10 shillings a week, and it then went up to 14 shillings. I continued at Barrow Hill school and was lucky enough to do well in the 11 plus exam and was able to choose to go to the Regent Street Polytechnic. When I was there and learning about electricity, I fixed up a light outside in the toilet. Just wires strung across the scullery and poked through a hole in the wall. As the years went by my father was able to take over the scullery. He took out the old sink and put in an old bath that he had taken out of one of the old flats. He also got an old water-cooled refrigerator that he built in over the end of the bath together with an old gas Ewart water heater. We moved the old gas stove to the right hand side of the room, opposite the back door into the garden. We also installed a new sink and a gas-heated washing machine with a hand-operated paddle and a hand operated mangle. We also had changed the old kitchen stove for a slighter more modern coal burning fireplace and put a tile surround fireplace in the upstairs front room. I helped with all of these changes. My Grandfather Betts got jobs doing emergency repairs to bomb damaged houses. He persuaded my father to take on similar jobs like replacing blown out windows and doors. That was a start to his business after the war of doing house repairs and modifications and decorating. I liked to go and help him especially with electrical work, carpentry, plumbing and all the special jobs like hanging electrical fixtures, pictures, mirrors and other fittings as the finishing touches to redecorating jobs. I really liked solving repair problems and mending things that were broken and could not be replaced. My parents were able to rent a shop at 100 Allitsen Road and we worked hard to refurbish the shop for my mother to open as a dressmaker. There was a showroom at the front, two partitioned areas as dressing rooms and a workshop. My mother couldn’t compete howver with all the big deparment stores and closed the shop while continuing to make clothes for some of her old customers. Later, the landlord wanted to them to move out as it was rent controlled property but after considering possible businesses like a fish and chip shop or a launderette (which the residents of de Walden buildings did not want) they reopened the shop as an ironmongers, seliing many different products like paint, paraffin, tools, nails and screws. It was very difficult after the war to buy vehicles. My father couldn’t drive because of his left leg which was fixed and could not be bent at the knee. 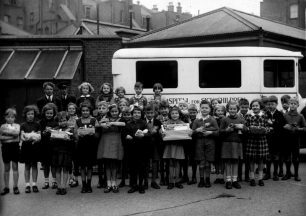 He ordered a new Commer van at the Hillman Dealership in St John’s Wood Road/Lodge Road. It took years for it to become available and to be converted so that he could drive it. In the meantime my father managed to buy an old London Taxi. The neighbor worked in a taxi garage , washing the taxis and knew when one had to be taken off the road. Ours was a 1934 Morris 14 Taxi. A beautiful dark blue and black with a leather part over the back that could be folded down. Inside the passenger compartment it had beautiful blue leather upholstery. It cost £50! But in 1950 I was only 16 and too young to get a license to drive. My brother was 19 and worked for my father at that time and drove the taxi. I got my provisional license when I was 17 and learned to drive. After the war, things to settled down. We would all go around to Gran’s house on Christmas Day, Uncle Bill’s house on Boxing Day and then they would all come to our house. 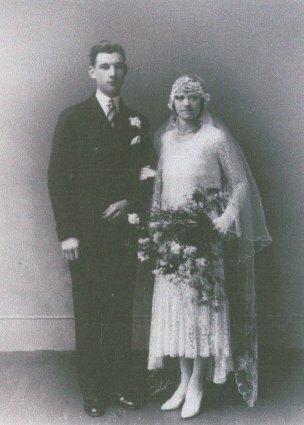 Eva married Reg Moore, who had a bicycle shop in Church Street, Billy married Rose from Ireland, Barbara married Jim McArthy, and Joan married Dennis. We went to most of the weddings, usually in St Stephen’s Church, Wellington Road. Most of the Page family still lived in or near St. John’s Wood. New flats were being built and Aunt Lil and Gran moved into 7 Lebus House at the bottom of Cochrane Street. Uncle Bill and family moved into 30 McNeil House, up on the top floor. Eva and Reg lived in one of the new blocks of flats in Charlbert Street. Billy and Rose bought a house in Willesden. Barbara and Jim lived in an apartment in Cochrane Street but on the other side of the street, and Joan and Dennis had emigrated to Toronto in Canada. We lived at 16 Newcourt Street until the last of the old buildings were pulled down in the l950s and we moved to a Council Maisonette at 33 Dale House in Boundary Road.I finally left St John’s Wood when I married in 1960. My Dad grew up in Queens Terrace. The family name was Stanyon and my grand-father (Les) managed Butlers Garage whilst my grand-mother (Nellie) raised the family. My Aunt Betty tells me of the time they sat on a brick wall overlooking Gracie Fields house admiring the guests attending a garden party. My mum was born in St John’s Wood Terrace in 1945. Her name was Patricia Hall and she had 2 elder sisters Maureen and Jean. Her dad was Dennis and her mum Ada. She grew up there until she got married. Her dad was a flight porter. Any information would be greatly appreciated. If any one remembers anything. My Grandparents George and Rose Farmer lived at 14 Newcourt Street and my dad Georgie was born there in 1923, my aunt Alice lived on the first floor with her husband Bill Blackwell, my gGandad and Uncle Bill worked for Taverners the builders, and they all moved to the newly built Turner House, Grandad died in 1952 and Nan died in 1958. I remember the Hanovers I think they moved over the road to Robin House. Incidently if Kenny Poulton reads this, is your brother John still around ? remember Reg and Royston Page. I believe it might have been my father who sorted out the old taxi that Mr Page bought. In fact I have a photograph of the old taxi. Times were hard in the post war years but I still think fondly of the old house in Newcourt St.
My Nan and Grandad were Barbie and Jim McCarthy. My dad, their son, still lives in St. John’s Wood in Wellington Place. So nice to hear the family story. My grandparents were Henry and Annie Cox who lived a few doors down from you at 9 Newcourt Street. 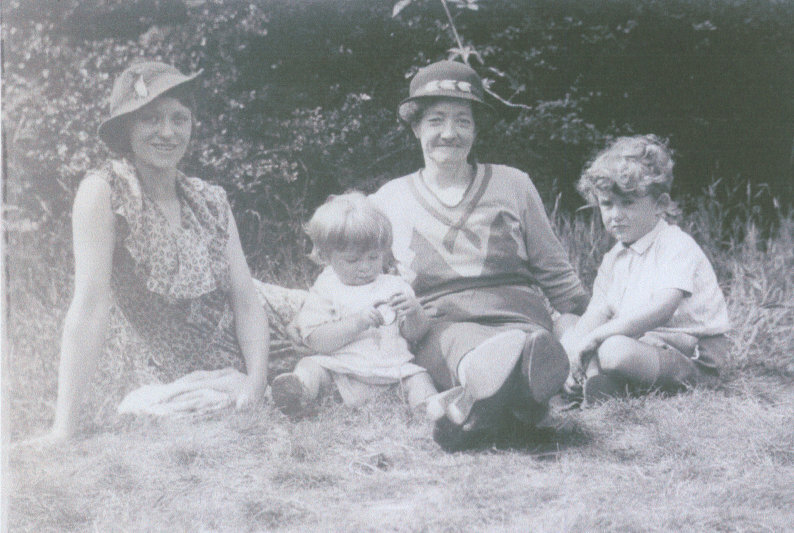 They had two children, Harry and Irene (my mother). I was born in Newcourt Street in 1949. We also knew your Aunt Lil too because her ” lifelong friend ” aunt Til was my mother’s cousin although we all knew her as Babs.I was often taken to see your Aunt Lil and of course met her often at Bab’s. We have a few photos of her. I too went to Barrow Hill School for a short while before we moved to Putney. Small world! My Great Aunt (surname Dixon) lived in Kingsmill Terrace (previously Eaton Terrace) from 1900-1940. In 1945 till the late 1950’s she lived in Marlborough Hill. Kingsmill had a bomb drop there during the war maybe that’s why she moved out. 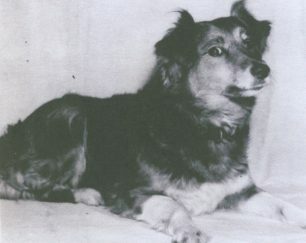 She moved to a newly built flat in Boundary Rd in the late 1950’s. Dear Reg or Royston, my name is Kenny Poulton. 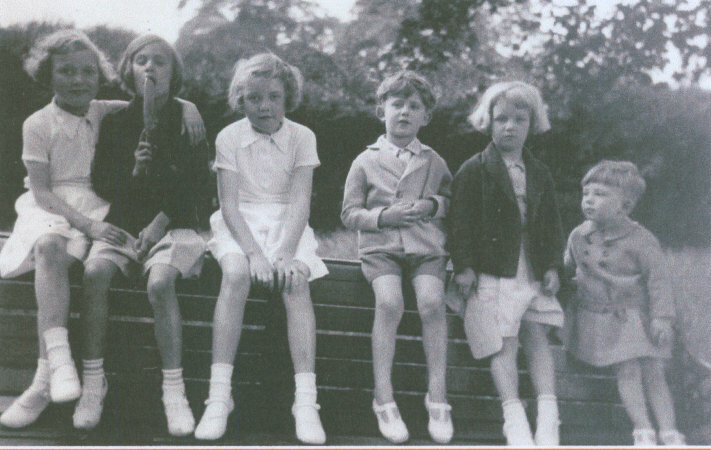 II was born in St Johns Wood Terrace in 1942, lived there for 8 years and then moved to 25 Cochrane Street. I remember the Queen Mother opening Cicely Davies house. I knew everyone in Cochrane street in the flats and all the houses. My mum’s name was Lizzie Poulton and dad was Bert Poulton. He used to play darts in the British Flag in New Court street. i had a sister Edna and brothers Vic and Johnny Poulton. What a wonderful story. Our lives intersect…my mum and grandparents lived in the George Eyre House on Cochrane Street. 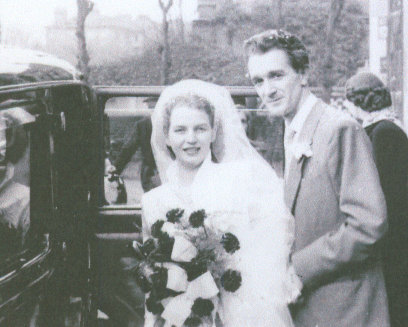 Marie, Sid (or Jackie as he was known to boxing fans), lived there from the 1940s until just ten years ago. My mum’s name was Maureen. She married an American and eventually emigrated to the US as well. I thought Reg was born at at the Woman’s hospital in Marylebone Rd , I was born @ Queen Charlotte’s in Hammersmith. The first year of World War 11 we stayed in Littlehampton as we were on holiday; after Dunkirk it became a front line port so Mum returned to The Wood and we went off to Buckinghamshire, where the Barrow Hill School kids had been sent. We were all in one class at Horn Hill village hall. There were lots of Bombs, a Landmine in the Church Yard, V1in Wellington Rd and many others. The glass was blown in several time went the bombs went off. The houses in Newcourt St, formerly New St, were very simple. The bedrooms were not heated and water was often frozen in a glass. All the houses were in multi use. Never locked, we knew how to open most doors with a string in the letter flap. In all the years never a lick of paint on the outsides. The Taxi was ALH 783. We lived for about 25 years in the Wood. Aunt Lil over 80 years.